For the foreign policy magazine, Europe’s footsteps, that I set up with my class mates in Denmark, I wrote an analysis about democracy in Congo. DR Congo is a chronic headache for Europeans who believe in extending democracy in Africa through support and diplomacy. Despite record investments in peacekeeping and elections, president Joseph Kabila is actively trying to get around the two terms allowed by the constitution in order to hold power in the war-torn country after 2016. An important and necessary statement, according to international observers and NGOs, and perfectly in line with strong concerns expressed by the EU delegation in Kinshasa ten days earlier. However the regime was not amused: “Congolese leaders are tired of being taught a lesson”, Lambert Mende, spokesperson for the Kabila government told Belgian newspaper Le Soir. “De Croo mustn’t come here to behave like a Governor-General on inspection”, he added. The exchange of heated words may have had little long-term consequences, but fits in a persistent European agony with the lack of real progress of democracy in former colonies. In DR Congo and the rest of Africa the EU faces wrenching choices between supporting barely democratic regimes that keep the peace, and dropping them with the risk of all-out chaos. DR Congo, number 186 in a list of 187 countries on the Human Development Index, is as much as ever in dire need of help. The costs of almost two decades of the pounding waves of civil war are high. According to the UN High Commissioner for Refugees, 2.7 million people are still displaced in DR Congo. Roughly fifty armed groups ravage the east. Girls and women live with the terror of sexual violence every day. Thousands have died. Blood and tears litter the soil and an inadequately regulated mineral trade is sucking the country dry. The EU and the rest of the international community believe in building democracy to get the country back on its feet. After his father died in 2OOO, Kabila came to power and was backed by the EU in a transition period to the country’s first democratic elections since 1960. The EU, together with its member states accounted for around 85% of the election costs, which were widely considered to be the highest in the history of the planet. Kabila won those elections and was re-elected in 2011 in a win over the lifelong leader of the opposition, Étienne Tshisekedi, but reports of election fraud and violence in the streets reached television screens all over the world and overshadowed any signs of democratic progress. “The last elections were an absolute disaster”, remembers Hoebeke. Now the era of Kabila is supposed to move to its end. The constitution bars him from running a third term, but there have been a string of attempts to get around that. “It’s an open secret that Kabila and his people never wanted elections to be held in 2016 as constitutionally intended”, says Nicolas-Patience Basabose, publisher of the Congolese weekly Le Congolais. 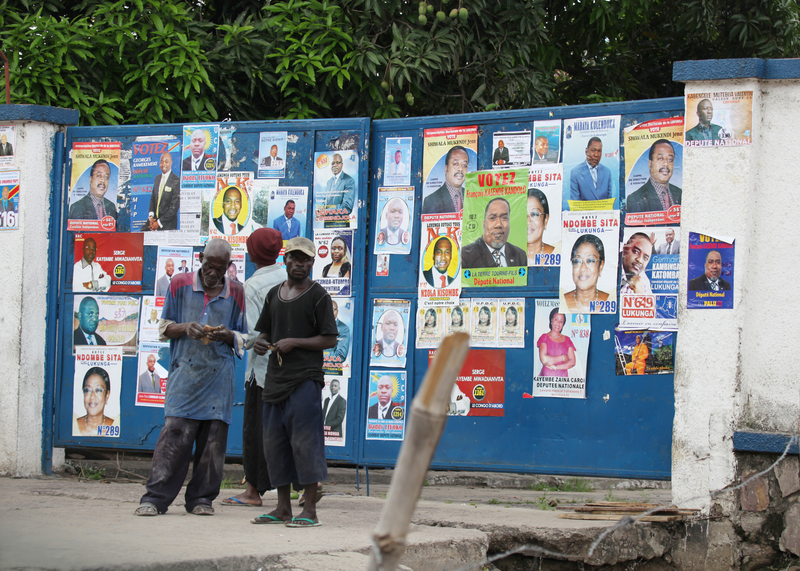 After an attempt to change the constitution failed in 2013, the pro-Kabila team in parliament tried to pass a law, which would demand an expensive and logistically complicated Congolese headcount that would probably delay presidential elections. The attempt led to the latest protests in January, carrying the name ‘Telema’, which means ‘stand up’ in the Lingala language. On January 24th international diplomats, concerned about the violent government reaction to the uprisings that left 42 dead in Kinshasa, met in Kabila’s residence to discuss the situation. The election law failed to pass: “[the regime’s] biggest failure to this day”, according to Basabose. “The result of international pressure and disagreements within Kabila’s majority, not only the Congolese protesters in the street”, says Hoebeke. There are also a number of logistical problems. The constitution says there should be 26 provinces, but right now there are only 11, it will be a tour de force to implement those reforms before the end of this year. And the local elections have never taken place before: there is no framework to offer support to the thousands of local politicians that will be elected. The estimated costs, proposed by INEC amounts to just over €1bn, while the total national budget of the country is €8.2bn. “Nobody knows where the money will come from”, says Hoebeke. According to a report from European Court of Auditors, the total EU support from 2003 to 2011 rose to a staggering amount of €1.9bn. The EU has for a large part financed the last two elections, and it might be seen as naïve to do the same again when there are no realistic prospects on the table. “The EU is caught between a rock and a hard place. If they don’t fund elections, they will be delayed or cancelled, thereby crashing the hopes of those hoping to bring about change through peaceful means such as elections. If it supports an imperfect election, the EU is bound to be criticised at home and abroad”, Aggad-Clerx explains. On February 23th, High Representative of the European Union for Foreign Affairs, Frederica Mogherini, addressed the situation in the European Parliament, she recognised concerns about delays and asked the government to exercise restraint. However to many people all over the African continent the support of both the democratic wishes of the people and their sometimes-oppressive leaders, doesn’t add up. “The EU cries with the herder and eats with the wolf”, Aggad-Clerx quotes an Algerian proverb that in her eyes reflects the opinion of many Africans. 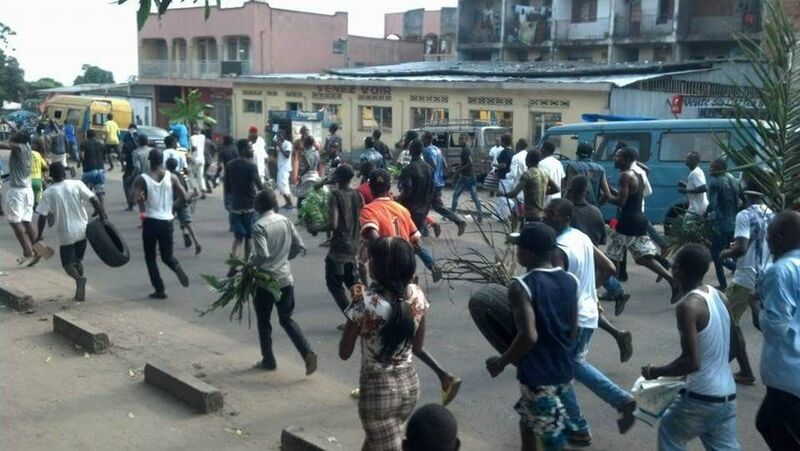 As for Congo, all eyes are now on the EU and the international community for funding. “If the EU and European countries believe in the values they preach: values of freedom and democracy, then it is time for them to understand that the fight of the Congolese people is a just one and they should support it if they mean well”, Basabose says. Why did you go out on the streets? Human Right’s Watch spoke about 42 deaths, how was the situation in the streets? “In my network alone, 15 people died and 6 people are injured and still in the hospital. The government spoke about 11 deaths and later revised it to twenty-something. Everybody knew they were lying. We know that there are even more than 42, but the government shut down Internet and text message communications. We are still trying to figure out exactly how many people have died. How did the protests escalate? Were you happy when the EU and the Belgians denounced the regime’s approach to the protests?